Nokia Lumia 900 makes it out at last! 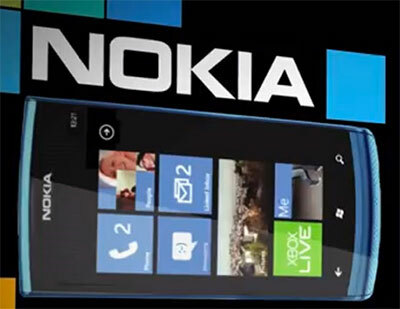 Nokia Lumia 900 , the upcoming flagship windows phone has been leaked on a video advert for the amazing everyday series. Heres a sneak peak if you cant hold on to your horses! 25 Years of Innovation – Nokia Research Center Celebrates. Nokia Research Center http://research.nokia.com has fueled the creation and development of the mobile industry we all enjoy today, and has contributed to a wide spectrum of ground-breaking innovations which have shaped the wireless world. This short retrosepctive showcases a few of the contributions coming from Nokia, in a fun narrative with the people Nokia has spent decades connecting and inspiring. The Nokia Windows Phone , aka Lumia 800 and Nokia’s Meego OS, N9 both pack the same Carl Zeiss optics and 8MP resolution camera . Both the masterpiece have the ability to capture video at 720p . Here are two sample videos by bloggers on Youtube. See if you can spot any difference between the two video samples. The hottest mobile device this year the Nokia Lumia 800 gets more video presentations from Nokia, on it features and their funtions. have you noticed that the new nokia lumia 800 is exactly same as the nokia n9? duh! yes you have, except the fact that they have different characters, the addition of a camera button on the nokia lumia and also different positions of their “Birthmark”, i mean to say the dual LED flash position, which is on top of the camera of the n9 , and sits beside the camera on the 800.
but specs also differ as well .